Medicare for All Presentation: What Would Expanded, Improved Medicare for All Look Like?... And How Can We Get There? Marvin Malek, MD, MPH, and Betty Keller, MD, facilitate a discussion about what Improved Medicare For All should look like, while constituents share their concerns with Kathryn Becker Van Haste, Director of Health Policy for US Sen. Bernie Sanders, and VT Rep. Marcia Gardner, who represents Richmond, VT. 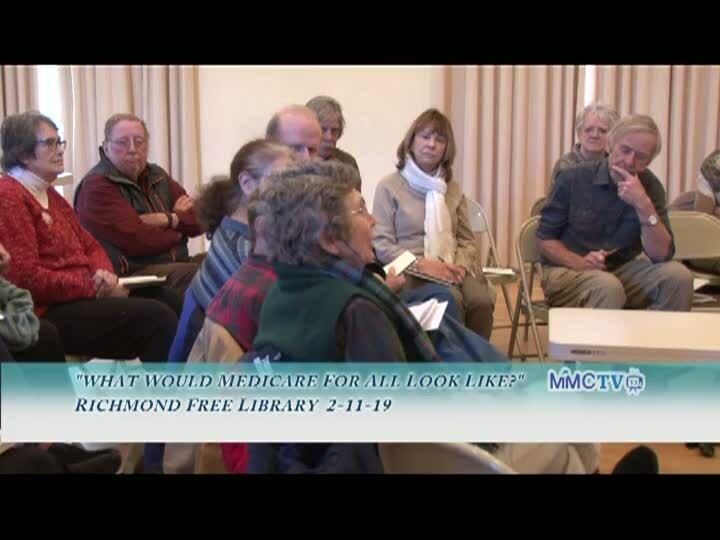 Sponsored by Vermont Physicians for a National Health Program (pnhp.org) and Rights and Democracy Vermont (radvt.org), hosted at the Richmond Free Library on Monday, February 11, 2019.